There are many benefits to being a member. APPLY NOW and find out how a Chamber Membership can benefit your business too. The Lebanon Chamber of Commerce strives to advance the economic, professional, civic, social and cultural potential of its members and the people of Lebanon. Growth depends on our vision for the future and with all of us working together, great things can happen. Chamber membership is synonymous with credibility to customers. A recent national study reveals that when consumers know a business is a chamber member, they are 44% more likely to think favorably about it, 51% more likely to be highly aware of it, 57% more likely to think positively of its local reputation and 63% more likely to buy its goods and services. Our Chamber website provides an overview of our community, community calendar, links to members’ websites, business announcements, etc. Members receive 50% discount off non-member rates for ads on the Public Square electronic message board (seen by over 17,000 vehicles daily). E-News announcements providing business news, awards, ribbon cuttings, events, etc. are sent to all members. Other opportunities include publicity at Scott Air Force Base and McKendree University events; cross chamber advertising; city map ads; gift certificate program; and event sponsorships. Membership provides you access to nearly 80 other businesses; business leaders and decision makers; organized networking opportunities; potential customers; and information and planning. Networking events include Business After Hours, Trivia Nights, Annual Dinner and the Holiday Party. The Chamber Visitors’ Center is often the first point of contact for people who are unfamiliar with the city of Lebanon. Our volunteers take very seriously the responsibility to present a polished, professional image of Lebanon to those interested in relocating, developing, shopping or visiting. 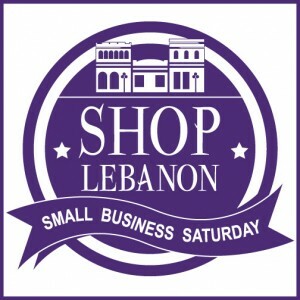 The Chamber promotes Lebanon at every opportunity. The Chamber works with local, regional and state tourism publications advertising and promoting Lebanon. That’s an annual marketing benefit of approximately $10,000 to members. Ready to become a Member and enjoy membership benefits? In order for our Chamber to continue to be successful, we need help from our members. We don’t ask much but if you do these few things, you will realize the full benefit of being a Chamber member. We encourage you to be our guest at a general membership meeting to meet some members. Please do not hesitate to contact us with any questions. Chamber sponsors the Fall Festival and Victorian Holiday and provides support to the May Market, Garden Tour, Witches’ Night Out and Lebanon’s Winter Wonderland. All of these events promote visitors and commerce. All of the monies received via the Chamber are used to maintain the Visitors’ Center and promote Lebanon. Officers, Board Members and Visitors’ Center volunteers are not paid for their many hours and talents. Meetings are held in the lower level of the Visitors’ Center at 221 W. St. Louis Street. Executive board meets at 8 a.m. the second Thursday of each month. General membership meetings are held at 8 a.m. the fourth Thursday of each month except for Nov. and Dec.